Here’s a question I saw posted to an online volleyball coaches group. 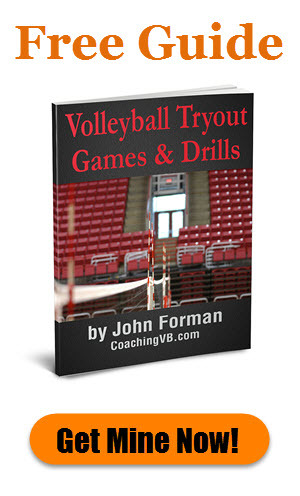 How do you teach your setters game management? Who to set in crunch time situations. Right now I have a setter at the high school level who seems to want to set everyone equally even when he struggles with certain sets. The question frames the set distribution question in a very interesting, but very common way. A lot of setters think they need to share the ball around equally. They think that will keep all their hitters happy. In some ways they’re right. In some ways, though, they aren’t. After all, someone usually thinks they should get more sets. That might be justified. It might not. So any set distribution discussion probably has to start with the following indication from coach to player – assuming we’re talking about things in a competitive context (if it’s developmental, sharing the ball around is fine, and even encouraged). Set distribution is not egalitarian. You don’t need to share the sets equally. It’s a meritocracy. You want to set the hitters mostly likely to score most often. Now, obviously there’s some nuance to this. 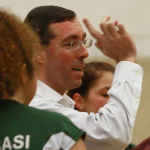 The setter shouldn’t just set the best hitter every single ball. All else being equal, that’s the best idea, but the situation dictates the best option. At it’s core, where to set should always come down to which set is the one most likely to produce the best result in the given situation. And those situations range from just getting a decent third contact over the net to keep the rally going all the way up to going for the kill when completely in-system off a perfect pass. And of course the skills of the setter have much to do with the best decision. So we as coaches must help our setters to understand the best option in a given situation. And, in some cases, help them develop of the confidence to make that best choice set – as well as the skills to make the even better choice set. There’s another side to all this. That’s the overall structure of the offense. This should be at least heavily influenced by the coach, though having the players involved is often a positive on multiple levels. To this point I came across the following. In our sport, we expect kids (and adults) in the setting position to run the team. 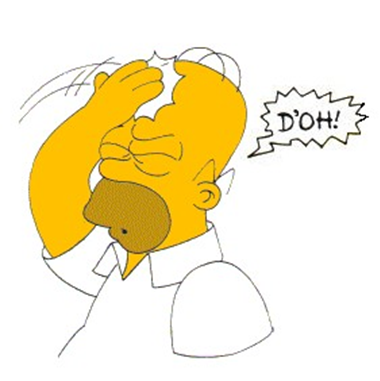 I think it is a cop out for everyone in our sport to put that level of decision making on the setter alone. I have heard so many youth coaches say, “My setter had good mechanics but just made such bad choices,” and I always want to respond with asking why it’s up to the setter. Why aren’t coaches writing up plays that work with the strengths and weaknesses of their individual teams and base it off of what they can see the other team’s match up being. I strongly disagree with the “cop out” view expressed here. At the end of the day, it ALWAYS comes down to the setter deciding which set to make. You can draw up amazing plays, but the setter is still the one who executes the set. Volleyball is not a video game. We can’t hit a button and make the setter set the ball we want them to set. It is up to us to teach them how to make the right decision. This is where constantly talking with them about their decision-making is so important. Ask them why they made a given set – good or bad. Figure out what they’re thinking. If necessary, show them a better way to view things. That said, I don’t disagree with the idea of the coach defining plays that best use of the team’s strengths in attack. I think this makes a lot of sense, and the team should practice them regularly. 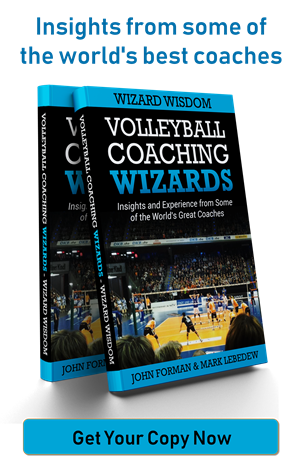 I’m not a fan of coaches calling plays from the bench, but I am in favor of coaches talking with their setters – sometimes with key hitters in the conversation – about the plays to run. Because as coaches, we don’t have a full perspective of what’s happening on the court. And often we don’t have the time or opportunity to communicate with the team between rallies. Plus, sometimes the players come up with good ideas that we wouldn’t think of in the moment. There is also the audible offense concept, which may factor in here as well. It’s worth noting that making the right decision who to set in a given situation should be a function of the setter knowing their hitters. Obviously, that mean’s the attacking capability. More than that, though, it must also account for their mindset in the moment. Setting Sam in a given situation might represent the best option on paper, but if at the time in the match Sam is low in confidence then in reality a different option is probably better. This might not be something the coach can recognize and/or correct for on the fly. As such, it is important for the setter to maintain a productive rapport with the hitters during the match so they know where each is at mentally. As with on-court/field leaders in any sport, there’s a lot more to the position of setter than simply executing a skill. The coach can take up part of the load, but the vast majority of it remains on the shoulders of the player when the ball is in the air. It’s the coach’s responsibility to help them carry that load effectively.